If you need a new battery for your Dyson handheld vacuum cleaner we have the full range of Dyson handheld vacuum cleaner spares and accessories. If you need a Dyson DC16 battery, Dyson DC30 battery, Dyson DC31 battery, Dyson DC34 battery or a Dyson DC35 battery you have come to the right place. Here at Appliance Spares Warehouse we can provide genuine Dyson batteries and battery charges at great low prices with free delivery. Find your replacement Dyson handheld rechargable battery or battery charger below. Genuine replacement Dyson battery assembly for Dyson DC30 handheld vacuum cleaners. ..
Genuine Dyson battery charger for Dyson DC58 and DC59 handheld vacuum cleaners. ..
Genuine Dyson handheld battery pack assembly for select Dyson vacuum cleaner models. 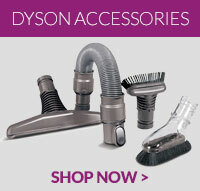 Suitable for..
Genuine Dyson spare part. Spare rechargeable battery suitable for all Dyson DC31 DC34 DC35 Handheld ..
Genuine spare part for select models of Dyson vacuum cleaners .. This power pack is a genuine part to fit your Dyson DC44 vacuum cleaner ..
Genuine replacement Dyson power pack assembly for Dyson SV10 cordless vacuum cleaners ..